Claim To Fame: He is best known for playing paramedic John Gage on Emergency! He played the role from 1972 to 1979. Family Life: He was married to Rose Parra from 1978 until their divorce in 1991. He has been married to Kristen Connors since 2002. Info: He was discovered in New York by a Universal talent agent after performing the lead in the play "Philadelphia, Here I Come," and returned to California. He slowly built up his resume with work on such dramatic series as "Adam-12,", "McCloud," "Alias Smith" and "Marcus Welby, M.D." This led to his role on "Emergency." Randy found a new direction in his career with daytime soaps. And throughout the years he has appeared on "Loving", "General Hospital," "One Life to Live" and "As the World Turns". Randy has frequently returned to his theater roots in such productions as "Footprints in Blood," "Back to the Blankets," "Wink Dah," "The Independence of Eddie Rose," "The Paper Crown," "The Inuit" and, most recently "Rain Dance" off-Broadway in 2003. Mantooth is a board member of Project 51, a non-profit California public benefit corporation that was created to share with the public the history of Emergency Medical Services in the United States. He also serves as a frequent keynote speaker at Fire and EMS events across the country. He serves as Honorary Chairman of the Board for the nonprofit County of Los Angeles Fire Museum Association, actively supporting the museum's James O. Page Memorial Building Fund and their effort to acquire a permanent facility. He is also involved with several charitable causes such as The Make-A-Wish Foundation. Trivia: Is half Seminole Indian. Bought a 13-1/2 acre ranch in Agoura, California, in the 1970s that was later destroyed by the devastating "Malibu Fire" on October 15, 1978. Enjoys all sports, and is an avid baseball fan. His favorite baseball team is the Los Angeles Dodgers. Is the oldest of four children. His siblings are Don Mantooth, Nancy Mantooth and Tonya Mantooth. The on-screen camaraderie between Mantooth and Kevin Tighe, as well as their friendship with both London and Troup, carried over to real life as well. 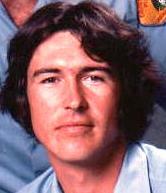 Before London's and Troup's deaths, all four remained close friends after the series came to a close, and Tighe served as a best man at Mantooth's second wedding in 2002. Where Are They Now: Mantooth has spent the last few years on the stage. 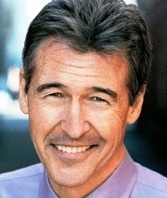 Mantooth completed a three-month run of Tracy Letts' Superior Donuts in 2012. In 2015, he revealed that he was diagnosed with cancer earlier that year and had completed treatment. Mantooth performed in Carey Crim's Morning After Grace at the Purple Rose Theatre in the fall of 2016.